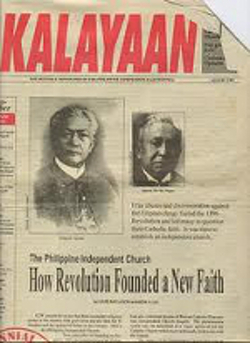 Today in Philippine History August 3, 1902, Isabelo de los Reyes proclaimed the establishment of the "Iglesia Filipina Independiente"
On August 3, 1902, Isabelo de los Reyes proclaimed the establishment of the "Iglesia Filipina Independiente" better known as Aglipayan Church, an independent Christian Protestant church in the catholic tradition, with Father Gregorio Aglipay as Supreme Bishop. Msgr. 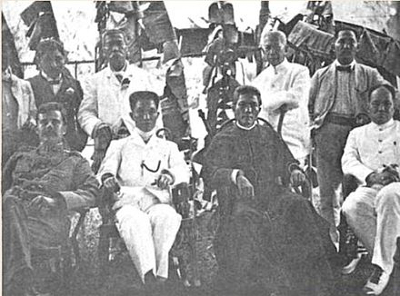 Aglipay, once a Roman Catholic priest but later excommunicated by the Vatican for inciting rebellion within the Filipino clergy, helped "Filipinize" the parishes and established religious freedom in the country during the Spanish rule. De los Reyes was excommunicated in 1903 as a schismatic apostate. In effect, the Aglipayan Church absolutely rejected the spiritual authority of the Pope (then Pope Leo XIII) and abolished the celibacy requirement from its clergy, allowing marriage among its priests who were all apostate Roman Catholic priests. Msgr. Aglipay joined the rebel Filipino forces in Ilocos Norte and waged a guerrilla warfare against the Americans. He ceased armed resistance in April 1901. Until his death on September 1, 1940, Msgr. Aglipay actively supported the Filipinos' quest for freedom. De los Reyes, due to his widespread Anti-Catholic writings and activism with labor unions, is sometimes dubbed as the "Father of Filipino Socialism".